In a nation of roadways built for motor vehicles, pedestrians routinely put their lives at risk with every step they take. Crossing lanes of traffic on foot is a challenge, even with a crosswalk and signal. 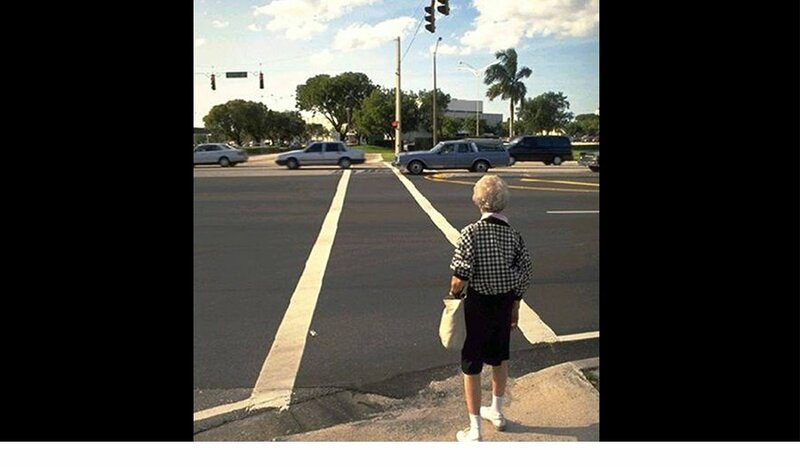 Let's hope this woman walks really fast. 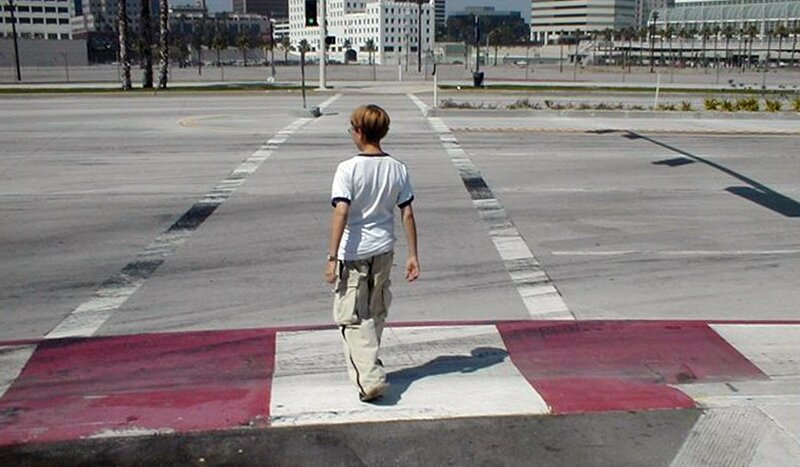 Can you find the man trying to cross the road? (Hint: He's stuck in the middle.) Complete Streets serve all users, be they drivers, bicyclists or pedestrians. 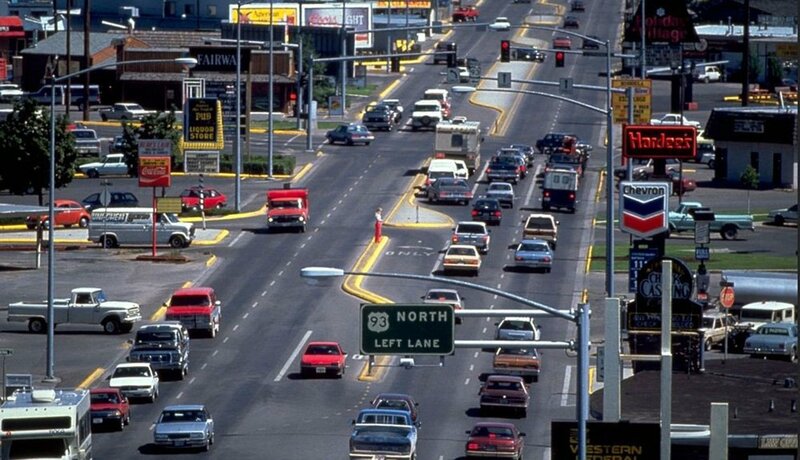 This is an "Incomplete Street." Versions of this road exist throughout the United States. Historic, downtown Annapolis, Maryland, is enjoyably walkable. The surrounding area, not so much. 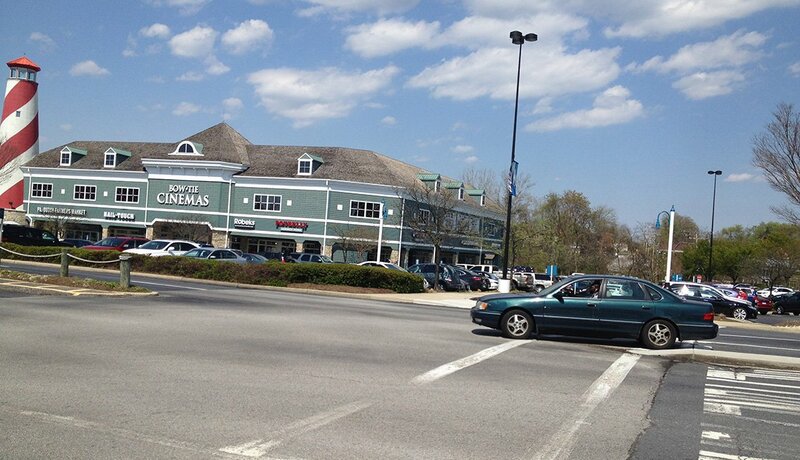 Each corner of this busy intersection features useful destinations, be they restaurants, shops, medical offices or a new apartment building. What the location doesn't have is a sensible and safe way to get from one spot to another without a car. This image is among those that accompanied the release of the 2019 Dangerous by Design report. (See the link below.) From this pedestrian's view, there appears to be eight vehicle lanes. Maybe more? These images also accompanied the release of the 2019 Dangerous by Design report. 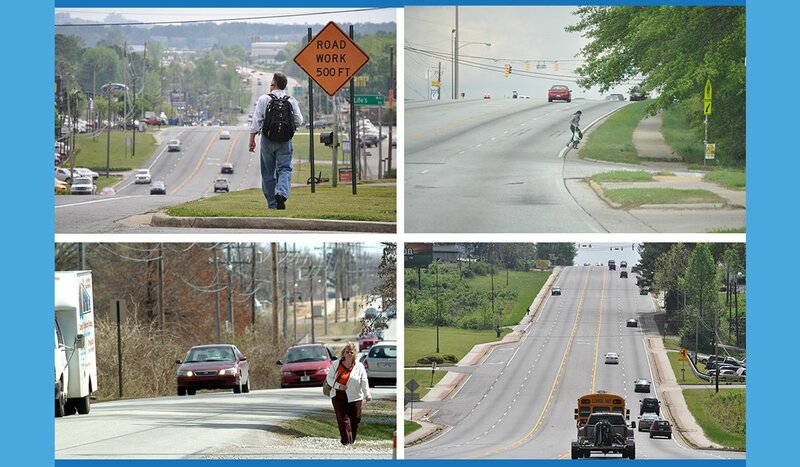 Too many streets have no sidewalks or crosswalks. 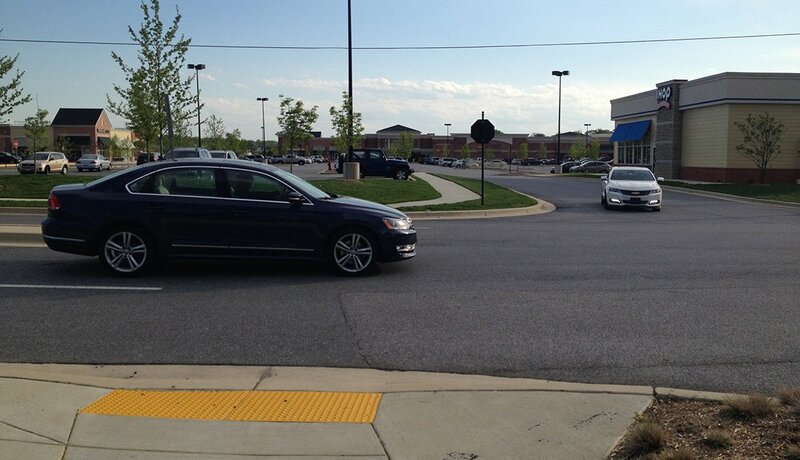 Too many streets with sidewalks have crosswalks placed too far apart (sometimes a mile or more). There are no sidewalks, so the school buses in this district leave no child behind, even those who live near the school. 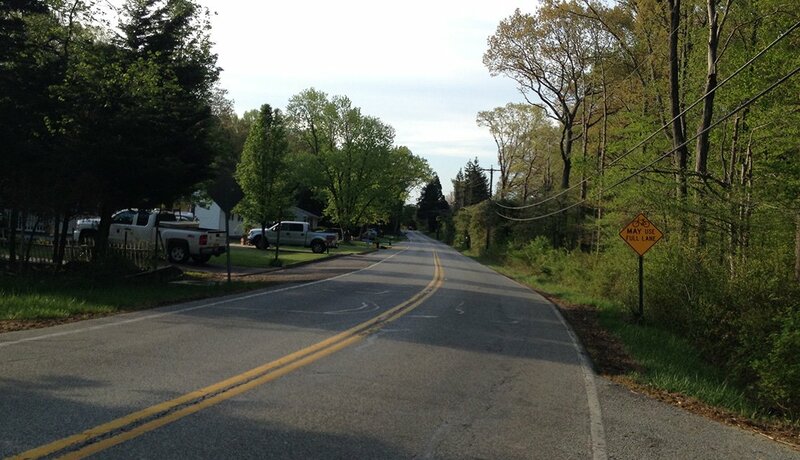 Paved shoulders along rural roads like this one could provide some protection for pedestrians and bicylists and improve safety. 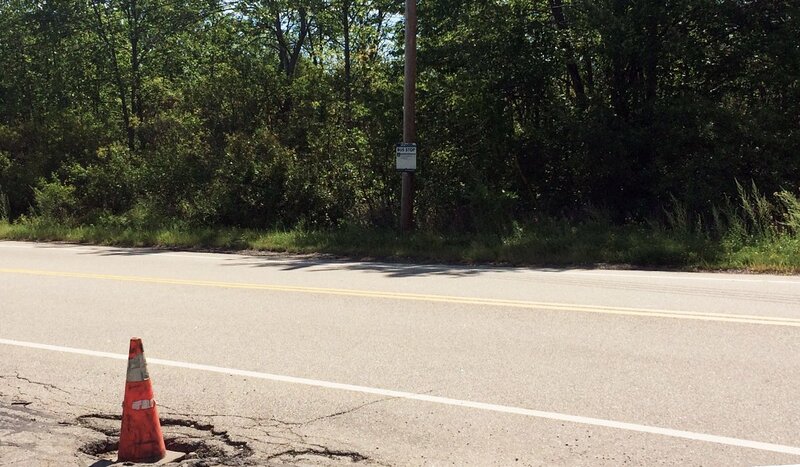 These students travel to and from school along this busy road with no sidewalks. Since most U.S. high schools start in the 7 a.m. hour, teens are often walking to school before dawn. 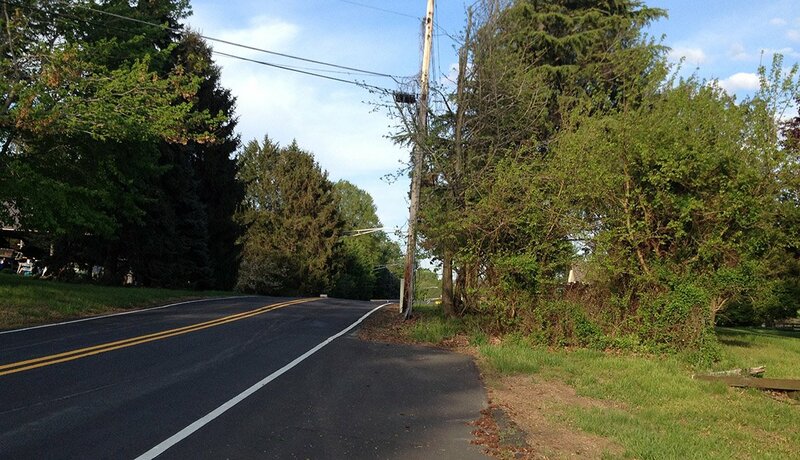 Would you want your child or grandchild walking along this road in the dark — or any time of day? What happens when a bicyclist or pedestrian traveling along the shoulder of this suburban road finds that the path abruptly ends? 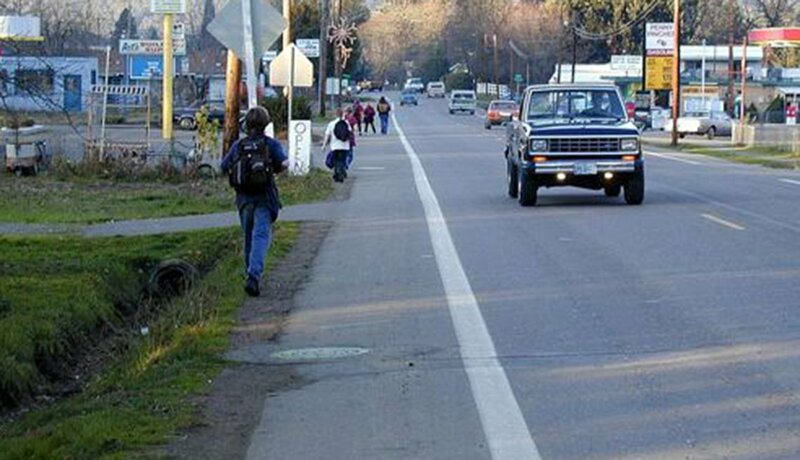 The choices are limited and risky: Turn around, trample through someone's yard or move into the traffic lane. 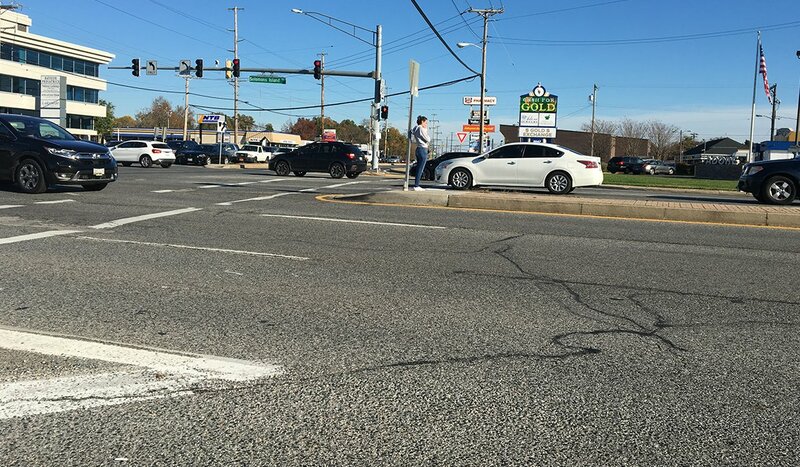 It's great that the intersection features crosswalks and traffic signals, but there's no sidewalk at this corner to lead the way, especially for someone in a wheelchair, pushing a stroller or simply wearing a nice pair of shoes. 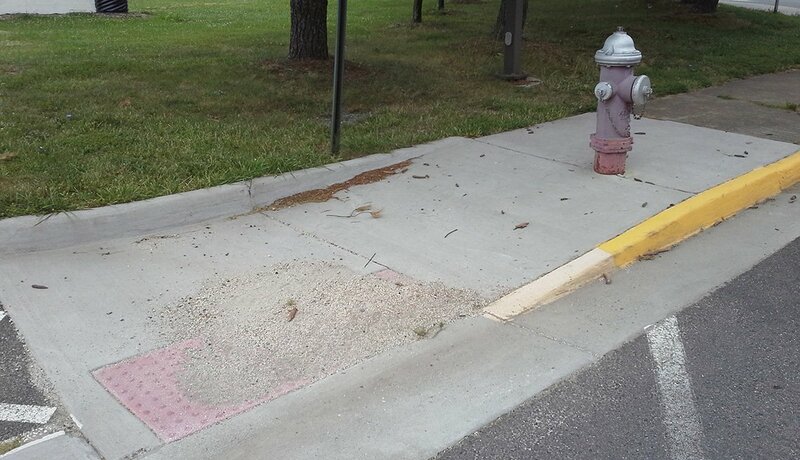 This sloping and marked sidewalk works for people in wheelchairs or with vision impairments. Too bad there isn't a crosswalk or traffic signal so residents of the adjacent assisted living facility can safely walk to the shops across the way. There's a ramp so a wheelchair user can exit the sidewalk to cross the road, but there's no ramp on the opposite side! This gentleman is rolling into a roadway he can't escape. A Ramp for a Picnic? 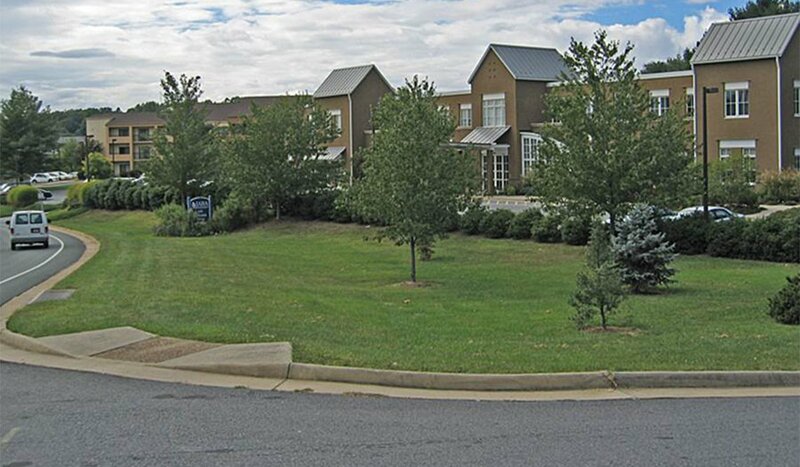 This oddly-placed ADA-compliant curb cut was installed outside the headquarters of an aging agency that serves the Charlottesville region of Virginia. 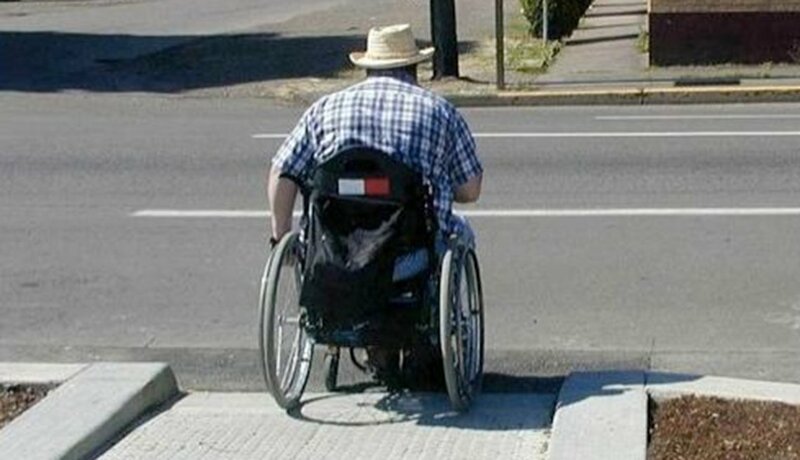 Maybe the ramp was placed for wheelchair access to the lawn. Look at the well-worn dirt path. People have obviously been walking to shops and other places along this commercial roadway. 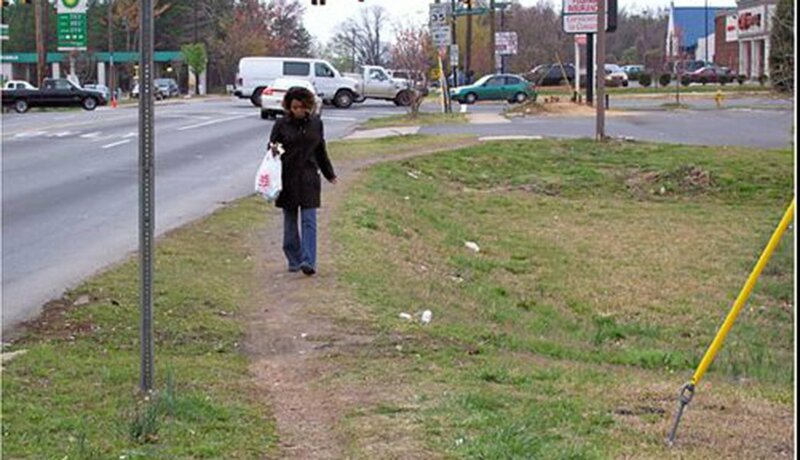 Wouldn't it make sense to install a sidewalk? 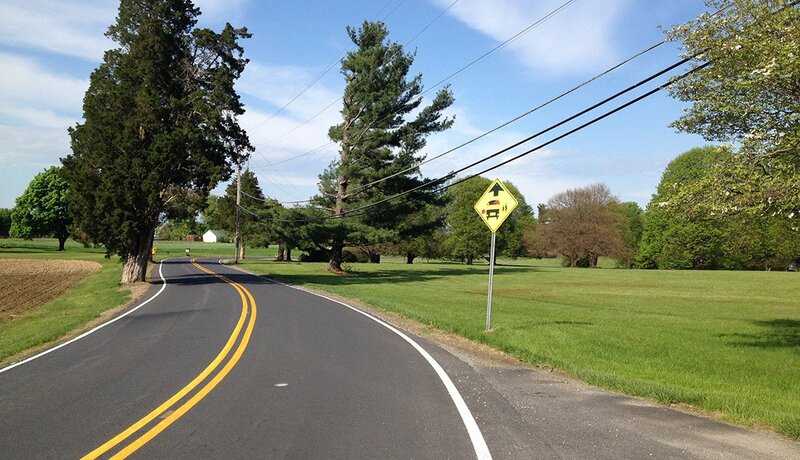 After a car struck and killed a bicyclist, the county that governs this rural community posted signs affirming "Bicycles May Use Full Lane." That's a nice offer, but with drivers and cyclists sharing the same winding country road (where passing isn't officially permitted), dangers persist. Public transit options are important community features. A safe place to wait for the bus is also important. 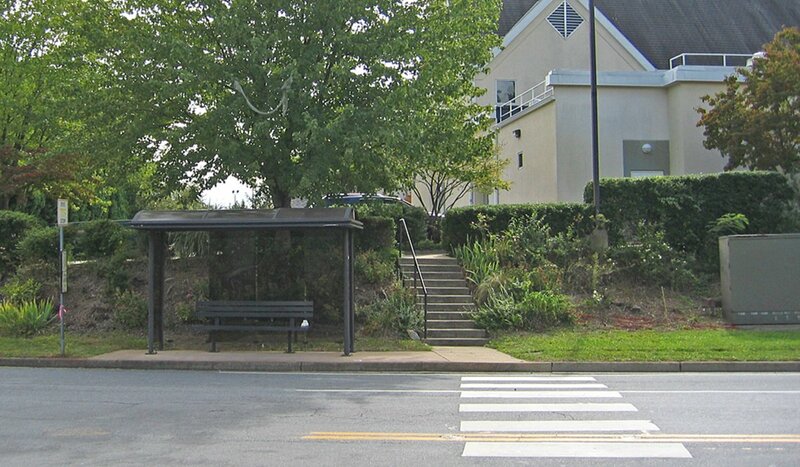 Bus stop seating and shelter from the elements — and from traffic — are basic needs, as are safe and accessible pathways to get there. It's there, hidden within the weeds, shrubs and trees. Someone waiting for a bus can stand in the road or in the overgrown greenery. Bug spray is recommended. The fire hydrant's location undermines the usefulness of the sidewalk to wheelchair users and people pushing strollers. The curb ramp with a detectable (i.e. bumpy) warning pad is a smart feature. Too bad it's mostly covered by sand. The movie theater is next to the fake lighthouse, across the road from where you just had lunch. All you need to do is cross four lanes of traffic that may or may not stop. You can use the faded crosswalk but there's no traffic signal. If you time it right you should be okay. 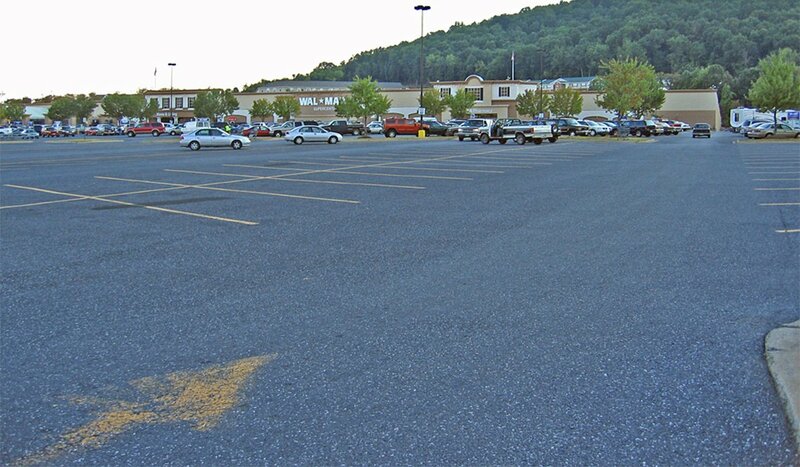 This parking lot is located in Anywhere and Everywhere USA. There's nothing welcoming, safe or appealing about this type of way-too-common place. 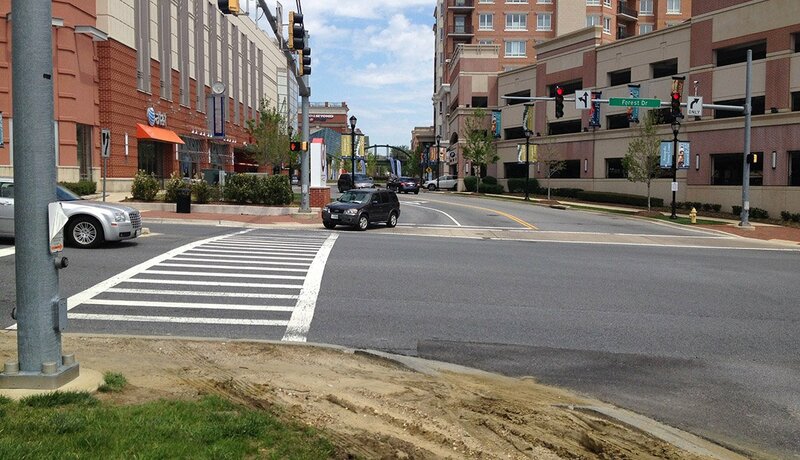 Learn how Complete Streets policies can help prevent and protect against all you've just seen. 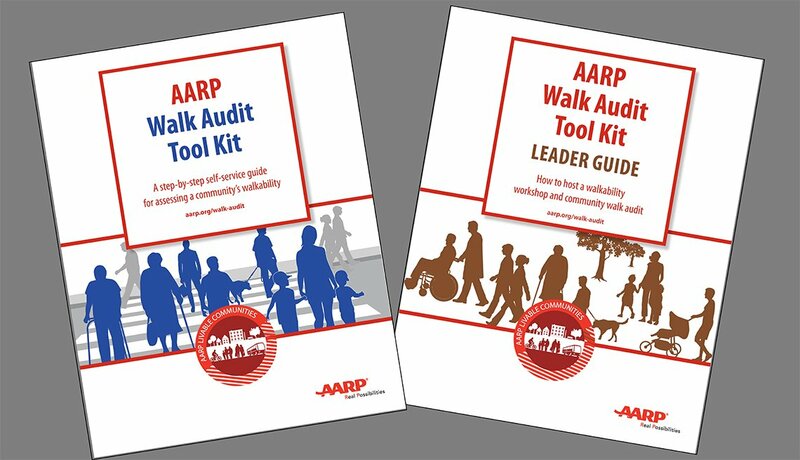 The AARP Walk Audit Tool Kits are free, downloadable, printable, self-service guides that can be used by anyone to document pedestrian safety problems and inspire solutions. If you take a photo of a dangerously incomplete street near you, post your photo on social media with the hashtag #DangerousByDesign. Be sure to tag the National Complete Streets Coalition @CompleteStreets and us at on Facebook @AARPLivableCommunities or Twitter @AARPLivable. Published in 2014 and updated in January 2019, this slideshow won Best Slideshow at the 2014 MIN Editorial and Design Awards.